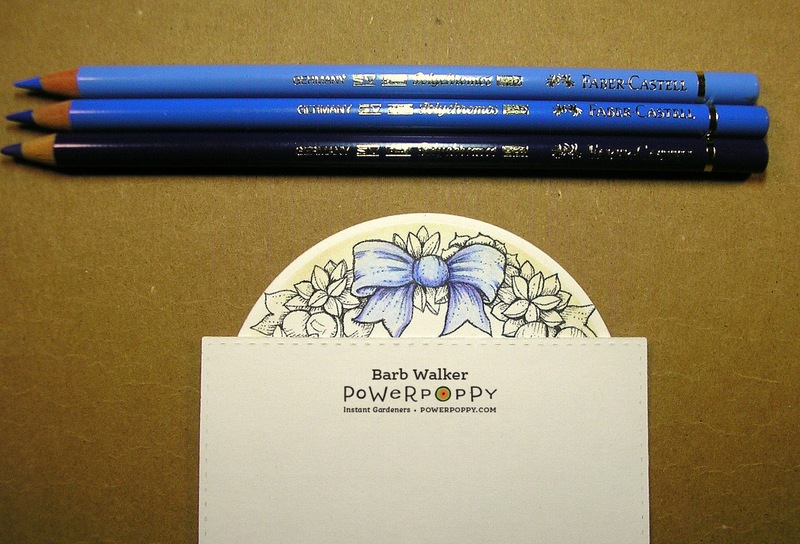 My color share for today is a sneak peek of another Power Poppy digi set that will be released on Friday, November 25th. These digis were designed to make QUICK and EASY Christmas cards...more about that on Friday. But, it's your card, you can make it as detailed or as plain as you like. Please click on the picture to see the image more clearly. I have been having such an issue with Blogger and blurry photos! Anyway...I printed this one onto smooth white card stock and die cut it. I did a little inking and worked on that gorgeous bow! That's all I can show you today! Thanks for buzzin' by! Oooh, can't wait. Love the coloring on the bow! Such a pretty blue one. Thanks so much for sharing, Barb! Completely forgot to say, how fun regarding the stamping party! Nine cards is huge for getting ready to send out holiday cards. You rock the coloring and the cardmaking! :) Hugs!